AUGUSTA, Ga. -- Danny Willett in a green jacket was hard to believe considering he wasn't even sure he could play the Masters two weeks ago. Jordan Spieth was even more stunned. Nine holes away from history, the defending Masters champion threw it all away in a collapse around Amen Corner that was shocking even by Augusta National standards. He played the opening three holes of the back nine in 6 over par, including a quadruple bogey at the 12th. Willet, five shots behind with six holes left to play, birdied three of his last six holes to polish off a round that might not get its due because of Spieth's meltdown. He closed with a 5-under 67, with no bogeys on his card, to match the best score of the weekend. The 28-year-old Englishman wasn't even planning to play. His wife was due with their first child on this very day. Their son, Zachariah James, was born on March 30, clearing Willett to a most unlikely path to becoming a major champion. 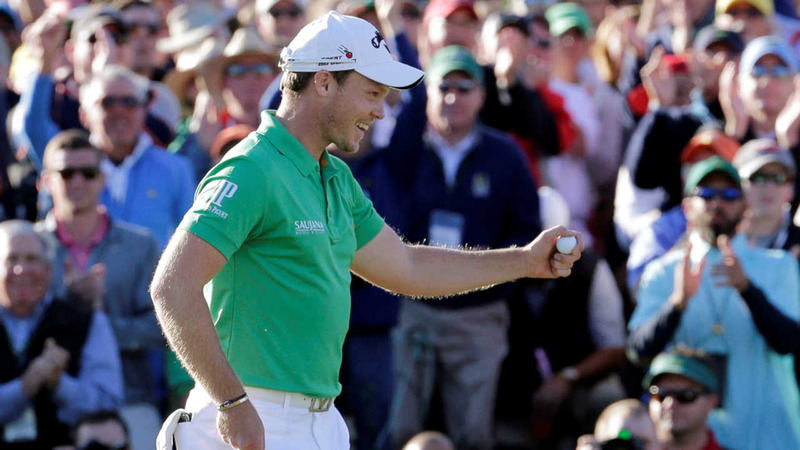 Willett won in his second Masters, ending Europe's 17-year drought at Augusta National, and he became the first player from England to win the green jacket since Nick Faldo in 1996. How fitting. Faldo also shot 67 that day in a final round remembered more for Greg Norman throwing away a six-shot lead. Spieth, trying to become the first player in history to win wire-to-wire in a major in successive years, ran off four straight birdies to end the front nine and build a five-shot lead. A bogey from the bunker on No. 10. A tee shot into the trees on No. 11 that led to another bogey. Willett made birdie on the 14th to get within one shot. Spieth only needed to get past the dangerous par-3 12th hole to settle himself, especially with two par 5s in front of him. Instead, his tee shot bounced off the slope and into the water. From the drop zone, his wedge was fat and Spieth turned his head. He didn't even look as it plopped into the water again. He made a quadruple-bogey 7. On the 10th tee, Spieth was five shots ahead. On the 13th tee, he was three shots behind. Spieth still had a chance when he birdied both par 5s to get within two shots with three to play. But he missed an 8-foot birdie putt on the 16th, and his bogey from the bunker ended all hope. He closed with a 73 and tied for second with Lee Westwood (69).